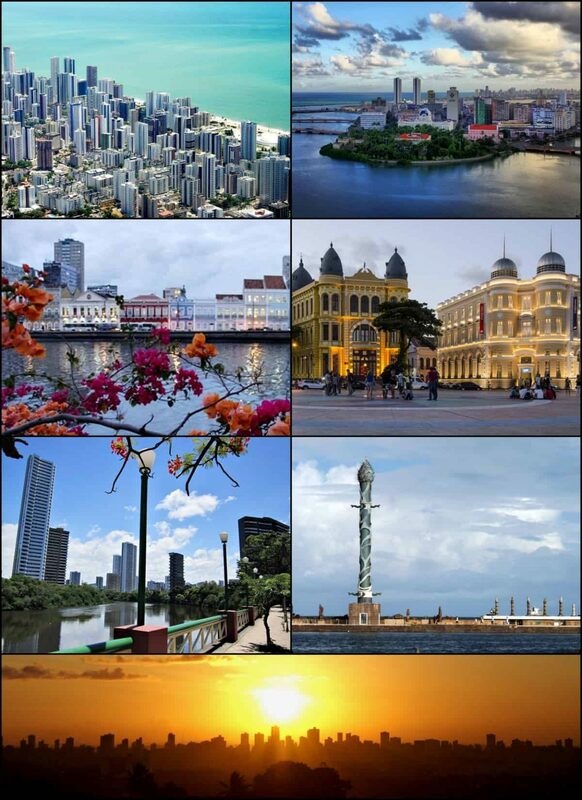 Recife is the fifth-largest metropolitan area in Brazil with 3,743,854 inhabitants, the largest metropolitan area of the North/Northeast Regions, the 5th-largest metropolitan influence area in Brazil, and the capital and largest city of the state of Pernambuco. The population of the city proper was 1,555,039 in 2012. Recife is located where the Beberibe River meets the Capibaribe River to flow into the Atlantic Ocean. It is a major port on the Atlantic Ocean.